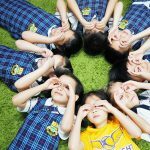 Thank you for your interest in working at British Columbia International School Bangkok. British School of Columbia emphasizes learning experiences in which children actively participate, learning by hands-on and experimentation, solving problems that are real and important to them. Founded in 2007 the school focuses on creating a warm, inclusive community where team spirit and interconnectedness are given the highest priority. We aim to equip our students for success in a rapidly, changing world by providing a supportive learning environment that recognizes and respects individual differences, encourages students to challenge personal limits and promotes excellence. As a tight knit community we take pride in our ability to foster strong learning relationships within the school environment. All applicants are required to provide accurate and detailed information about their employment history, including any aspects of their past or profile that could affect the reputation of BCISB or the wellbeing of our community. We conduct background checks on all successful candidates. Our goal is to achieve this by attracting and retaining world-class staff, passionate about the students. We are happy to receive detailed resume at any time throughout the academic year.